A common love for the visual arts brought Stephen and Sophia Misplon together and opening a gallery was a natural next step for them. 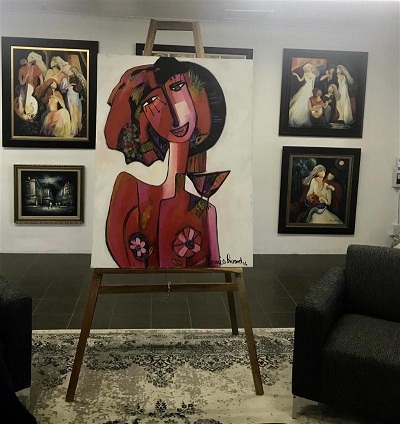 The couple, who has an impressive art collection by renowned artists themselves, has opened The Gallery in the Midlands KwaZulu-Natal with one goal in mind – to provide a platform for local artists to showcase their work. “We believe that South Africa has talent equal to Picasso, van Gogh, Monet, Matisse and the other well-known artists. Art has no value if it is not shared and our love for art and South Africa is what gave birth to this gallery,” says Sophia. The couple’s aim with The Gallery is to make local art accessible to as many people as possible. “In making art accessible, we aim to ensure that local artists are paid fairly for their work and at the same time we want to make art affordable for art lovers,” says Stephen. The couple invites local artists to contact them for exhibitions and welcomes all kinds of visual art including sculpting for display in their gallery. As collectors of Ronnie Biccard art (over 70 pieces in their personal collection), they will honour her work during their opening month as well as displaying one-off pieces by Burnett, Adele Oldfield, Elaine B, Vic Guhrs and Stephen Misplon to name a few. For travellers passing through Fort Nottingham, The Gallery is a great place to stop and feast their eyes on beautiful art while the store also stocks art supplies, gift cards, artist prints, scarves and bags. The Gallery is situated in Meander Square Shopping Centre, Nottingham Road, Midlands, KZN (6km from the N3 on the R103). For more information or to exhibit at The Gallery send an email to thegallery@thehighgarden.co.za or connect with them on Facebook.